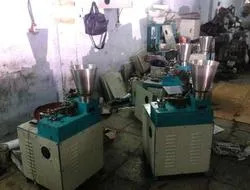 Established in the year 2013, Panthi Machinery, is one of the leading manufacturers, suppliers and exporters of a wide range of optimum quality Incense Making Machine, Agarbatti Incense Machine, Automatic Agarbatti Scent machine, High Speed incense Making machine, Drying machine etc. These products are manufactured from high quality stainless steel and alloy, which is sourced from trusted vendors. Available with us at standard market prices, these machines are highly appreciated for their easy operation, minimum maintenance, low power consumption, superior workability, and sturdy construction. We are equipped with sophisticated infrastructure that is spread over a vast area, which is necessary for manufacturing of high quality machines within fixed time constraint. To ensure streamline operation, we have segregated our infrastructure into different units. These modern units include processing, in-house testing, and packaging unit. 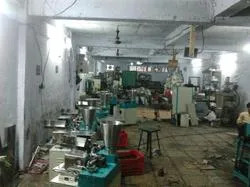 All the units work in close coordination to ensure high quality product. The processing unit is equipped with all the necessary machinery required for smooth operations. To ensure flawless product delivery, our product range is rigorously tested by our quality controllers. All the units are supervised by highly skillful professional. We are established under the supervision of our mentor Mr. Dharmendra Kapadiya. Due to his vast experience in this field and guidance, we are able to meet the ever-changing demands of our esteemed customers. Owing to high quality of offered products; we have gained a huge client based across the East Asia, Middle East, South East Asia. The strategy of our growth is the employment of highly skilled professionals with extensive experience in providing these products and machines. 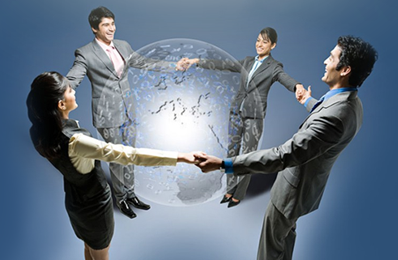 These professionals are appointed after completely analyzing their qualification, knowledge and skills. Our staff comprises only competent, efficient and motivated professionals, who are capable to execute their tasks with utmost efficiency. Completely dedicated towards attaining organizational targets, our workforce conducts different checks before the final dispatch of our range of products. We believe in offering our customers optimum quality products. To attain high quality products, our product range is manufactured from optimum quality stainless steel and alloys, which is obtained from trusted vendors. These vendors are carefully selected based on our requirements. To ensure high standards of quality, these products are manufactured from cutting-edge technology and latest machinery. In addition to this, our product range undergoes various quality assurance procedures, under the supervision of highly experienced quality controllers. Our highly experienced professionals work in close coordination with our esteemed customers, which help us design and develop product range as per customers’ requirements. Driven by an intense desire to attain maximum clients’ satisfaction, we put our sincere efforts for the same. We also offer our customers multiple payment options such as cash and demand draft, keeping their conveniences in mind. We are ranked amongst the leading manufacturers, suppliers and traders in this competitive market. From the day of our inception, we have been able to carve a favorable niche in this industry by fulfilling qualitative and quantitative requirements of the customers. Quality has been our major concern and for this we never adjust on the grounds of obtaining quality proven products. Additionally, due to our customer-centric approach, our enterprise has earned faith and confidence of the customers.